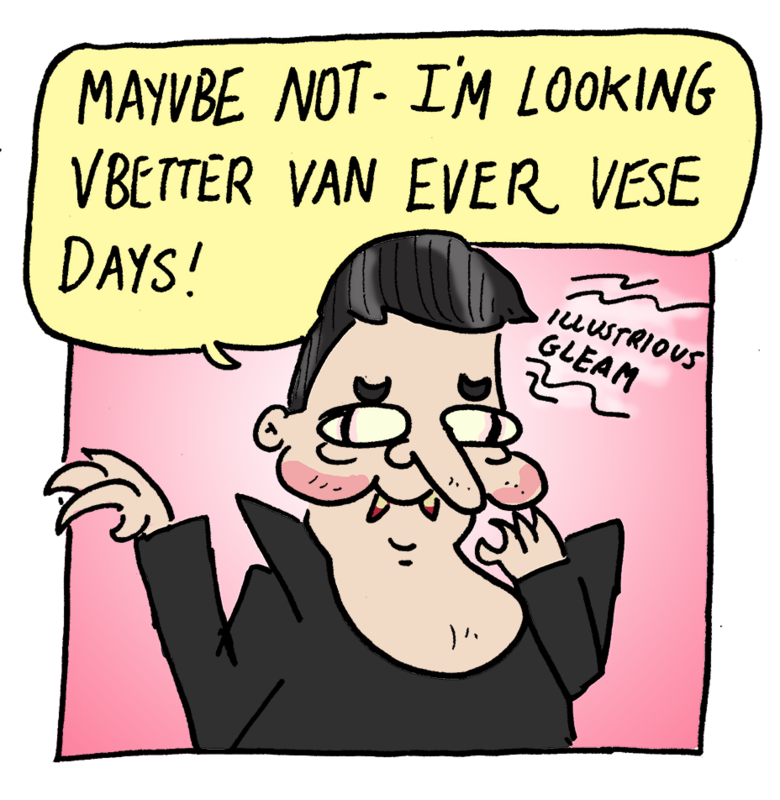 Mayvbe not- I’m looking vbetter van ever vese days! 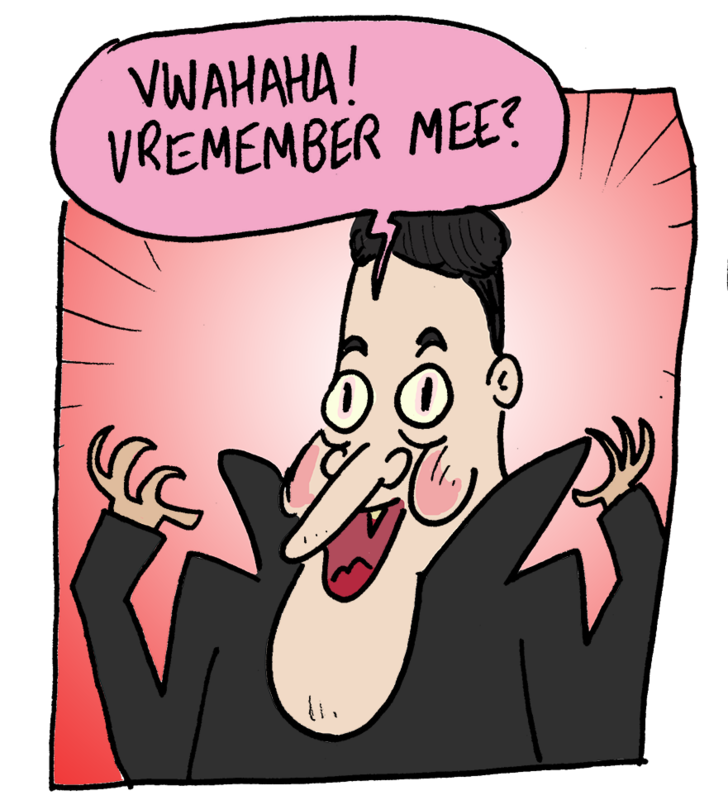 Yess, you svee! 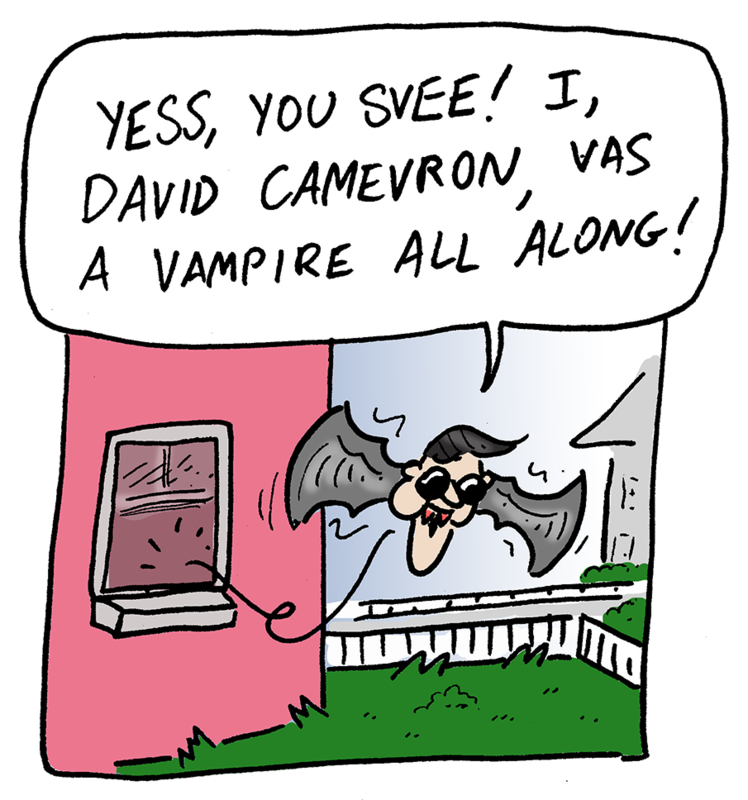 I, David Cameron, vas a vampire all along! 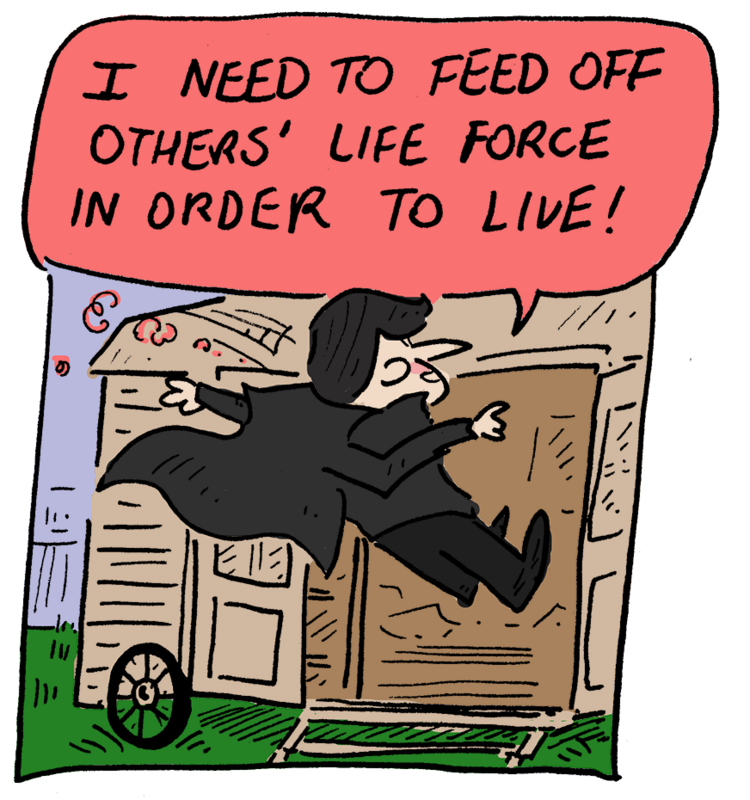 I need to feed off others’ life force in order to live! I mean, have you seen Teresa recently? That lady’s thankless, impossible task is keeping my skin silky smooth! And once Brexit is actually delivered? 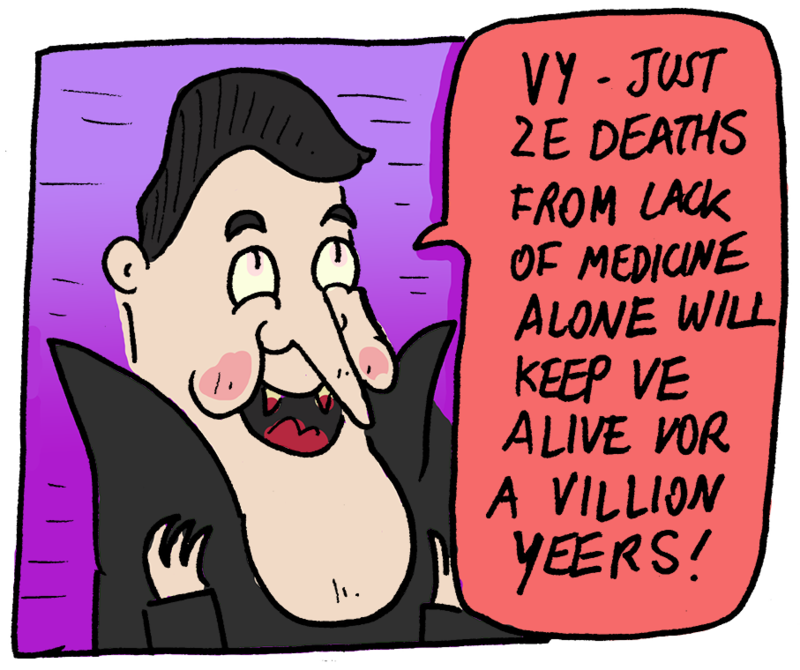 Vy- just ze deaths from lack of medicine alone vill keep ve alive vor a villion years! 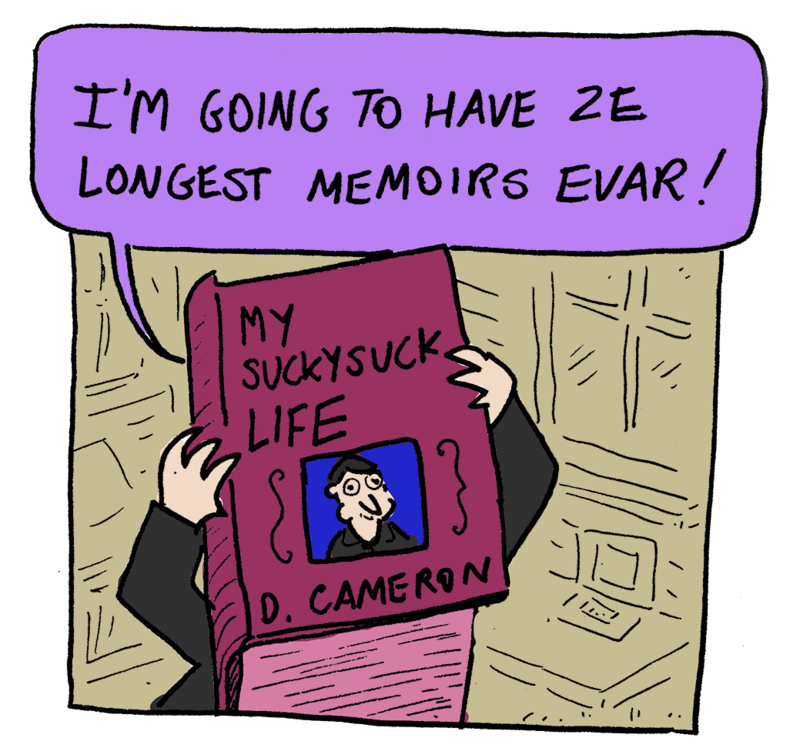 I’m going to have the longest memoirs ever! In which David Cameron gains eternal youth by slowly but surely killing Theresa May, and the rest of Britain, with the stress of delivering Britain’s exit from the European Union. 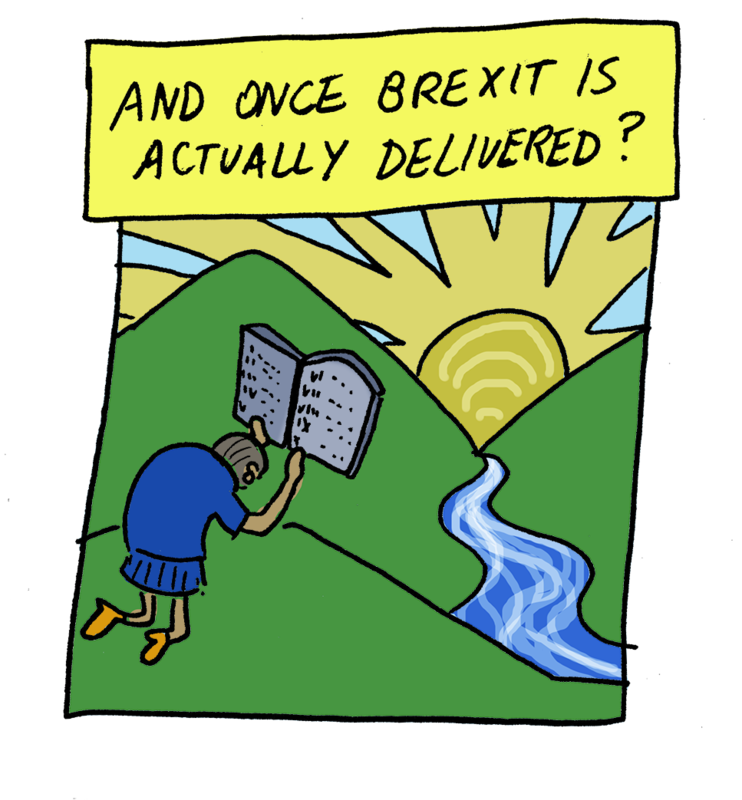 Behind the scenes: the original idea for this comic was similar to that letter New Labour Treasury Chief Secretary Liam Byrne left to his Conservative successor, “Dear Chief Secretary, I’m afraid there is no money.” But it seems to me that whoever was left to clean up the Brexit mess created by Cameron was drinking a poisoned chalice. What if Theresa May is in some weird way Cameron’s horcrux? A more complicated original idea involved Nick Clegg also being made to drink the Kam-Aid and suffering similar debilitating consequences. Also, the only way May could rid herself of the Cameron Curse was to deliver Brexit and all its problems onto the people of Britain. Cameron would then have reaped so much youthful energy that in the original punchline he becomes a baby and disappears a la Benjamin Button. I’m happy with this comic as a gag, but I am aware it doesn’t really gel with the D4T methodology of ideas over personality. Don’t worry- the next one will require much more brain power! Comics journalism for the Disunited Kingdom of Great Britain and probably Ireland too.